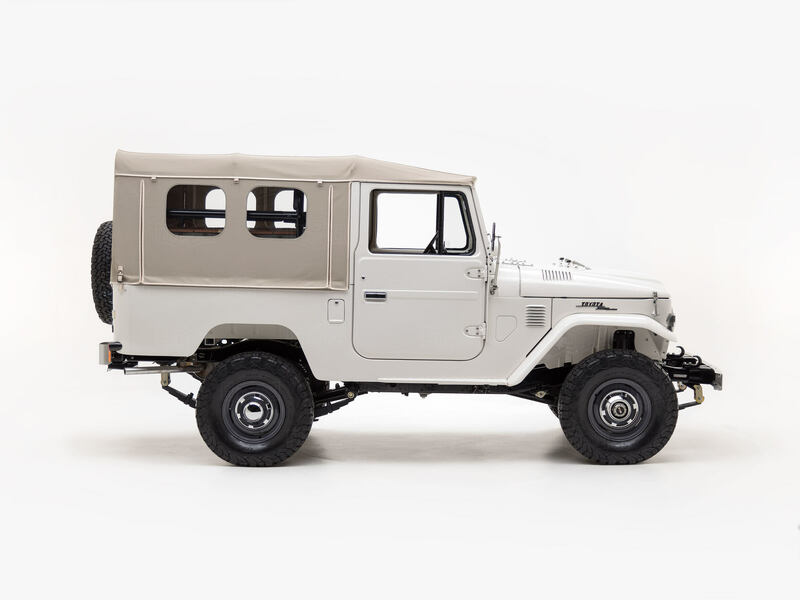 This custom-built Land Cruiser was inspired by a Land Cruiser our client saw on a safari in Africa. It's a build that brings back all of the 1970s features we love, including a Toyota 2F engine, four-speed manual transmission, front disc brakes, and rounded front grille. To add a vintage touch, we went a little further back in time and brought back some pre-1978 side mirrors and turn signals. A beige custom soft top provides cover from the hot Arizona sun, while a Vintage Air A/C keeps the cabin from losing its cool. Additional updates, like BFGoodrich® All-Terrain tires and Old Man Emu suspension, ensure this classic 4x4 is equally at home on the pavement or trail. That retro look you love now comes with a modern powertrain. Build your G40 Heritage today!